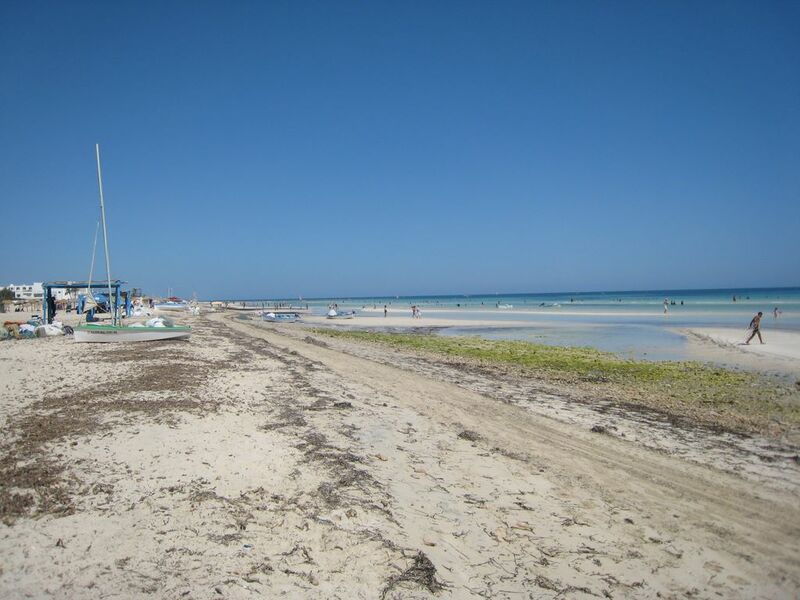 Excursion Djerba 1 day: Tataouine Cheneni | Djerba: Info, Maps, Photos, Hotels, Attractions, Restaurants, Excursions, Walks at sea, Quad ..
08h00: Departure from the hotel by the Roman road direction Tataouine. 09h00: Arrive at Khalfallah. Stop and visit a oil mill during the period of the olive harvest or to stop Sand dunes of the Chahbania. 11h00: Continue to CheniniThe village topped by a rocky ridge at the foot of which stands a very old mosque. 12h00: Lunch at the Kenza Chenini or similar restaurant. 13h15: Guided tour of the Berber village Chenini. 14h15: Depart Ksar El Ferch. 16h15: Departure to Djerba via the Roman road. 17h45: Arrival at the hotel. This tour is done in the company of a guide agréé by the National Office of Tunisian Tourism.